Savannah Mooney, who starred on the most-recent season of 16 and Pregnant, has come forward to give the show’s fans a shocking update on what’s been going on in her life since we last saw her. In a lengthy Instagram post yesterday, Savannah revealed that she gave birth to a second child in June. She stated that she chose to keep the baby’s birth a secret. There have been many, many girls from the show 16 and Pregnant who have ended up having second (and even third) babies since their time on MTV, but Savannah’s story is different, as she chose to place the child, a baby boy named Samuel, for adoption, rather than parent him. 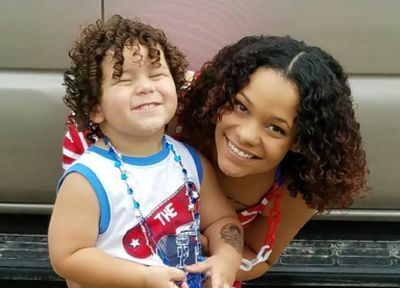 This marks the first time a ’16 and Pregnant’ girl has chosen adoption for her second child. According to Savannah’s post, Baby Samuel was born healthy on June 6, and was placed immediately with his adoptive parents and brother. Savannah, who has been broken up with Rowan’s father, Stone, for years, didn’t reveal who Samuel’s biological father is, but she was open about how the adoption has affected her. Savannah is the second girl from ’16 and Pregnant’ Season 5 to give birth to a second child. Her co-star, Summer Rewis, gave birth to her second son in June. To see what’s happened to some of the other girls from the series, click here! @Ashley What does the letter say? I really respect her. What an unselfish and loving decision. I wish her, her son, the baby and his new family the very best lives. I had a lot of respect for Savannah for the way she conducted herself during her 16&P episode, the way she looked out for her little brother when her mom was on a drinking binge and she also seemed to be fairly honest with herself and everyone else about the challenges of young parenthood; reading this post just increases my level of esteem for her. She has shown a level of maturity that about 90% of the girls on this show are sorely lacking: she owns up to being irresponsible, admits she should have done better and she ultimately made a decision that will hurt her but that will make the lives of both of her children so much better. I hope she sticks to her goals and uses this as motivation for the future. Side note: how freaking adorable is Rowan?! I respect her so much for making a decision like that. But I still don’t understand why all these girls get pregnant a second time so soon after their first? It’s not that difficult to go to the doctor and be put on birth control. I don’t get it. MTV claims to be responsible for the drop in teen pregnancies, yet their girls keep getting pregnant. Maybe MTV should offer them real education and pay the costs of their birth control for five years as a bonus to really help them. Teared up a bit when I read that. What a brave thing to do your best to ensure both your children have what they need. I wish her peace in her decision. Good for her. She admitted she was irresponsible and wanted a better life for her second son. I can respect that. She didn’t give the miracle baby excuse that seems to plague 16&p and tm girls. A-men! Sad she had to go through this. It must be so hard to let your child go. Unselfish, admirable, loving, responsible but still very hard. Not to sound like this is sarcasm or that I’m some sort of sanctimonious wench, but good for her and good for the baby. Giving a child up for adoption, especially a second one, has got to be incredibly tough! I’m glad that she recognized that, while not a “mistake”, this was certainly a result she was just not ready for, so she did what was best. She obviously loves the baby and her son so much that she wants to give them the best possible – she can’t give both the best with her current situation. I sincerely hope that people don’t figure out who the baby is or the adoptive family is – let them all be, you know? Agree conpletely. 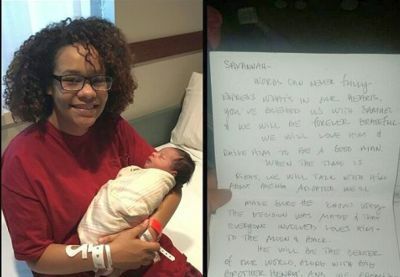 Must have been so hard and stressful but seems she did the right thing for her and the baby. Was she the one who had the father of her 1st baby Rowan , taken from her by the dad and for awhile and he refused to give him back? Does the Ashley recall that story?